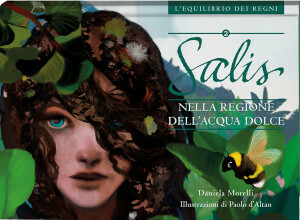 Salis Escapes – Salisedine Episode 1 is a beautifully illustrated storybook for pre-teens with tough dystopian themes. 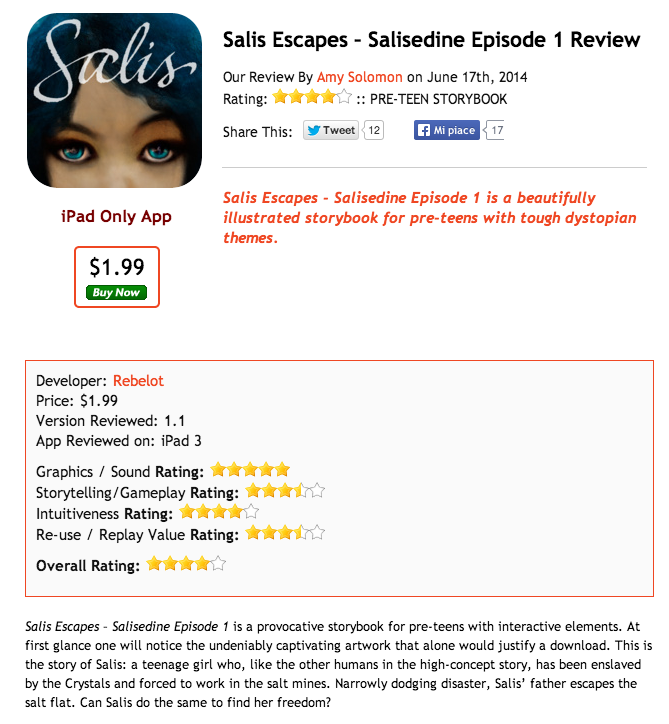 Salis Escapes – Salisedine Episode 1 is a provocative storybook for pre-teens with interactive elements. At first glance one will notice the undeniably captivating artwork that alone would justify a download. 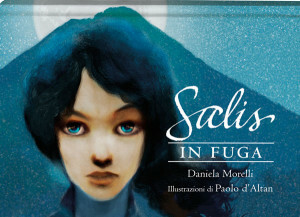 This is the story of Salis: a teenage girl who, like the other humans in the high-concept story, has been enslaved by the Crystals and forced to work in the salt mines. Narrowly dodging disaster, Salis’ father escapes the salt flat. Can Salis do the same to find her freedom?